SIRIUS|XM gives you the best sports, news, talk, entertainment and commercial-free music, including B.B. King’s Bluesville – the home of authentic blues from the past to the present. Everything worth listening to is on SIRIUS|XM. 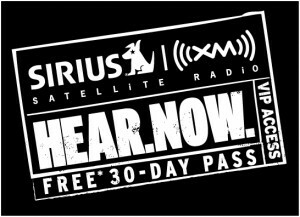 Get a FREE* 30-Day Trial of SIRIUS|XM. Click Here To Start Your FREE* Trial Now.